from materials such as brass, steel, stainless steel, aluminium and plastic. 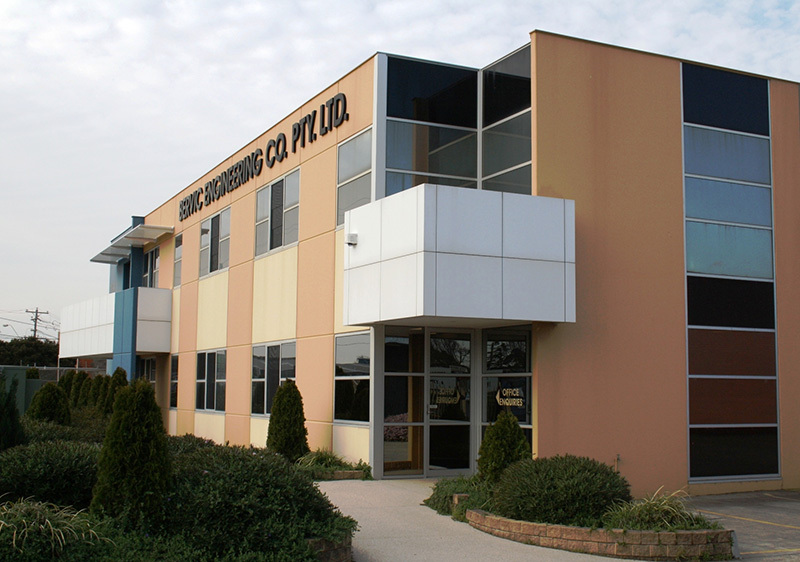 As a repetition manufacturing company, we have earned a reputation for quality, service and are recognised as leaders in our field. 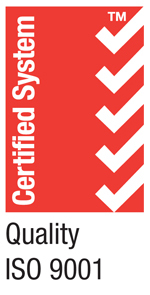 Staffed by experienced and highly-qualified personnel, we are accredited to Quality Management System – ISO 9001 standard. Our commitment to the Quality Management System – ISO 9001 will ensure your peace of mind when placing a purchase order with Bervic. 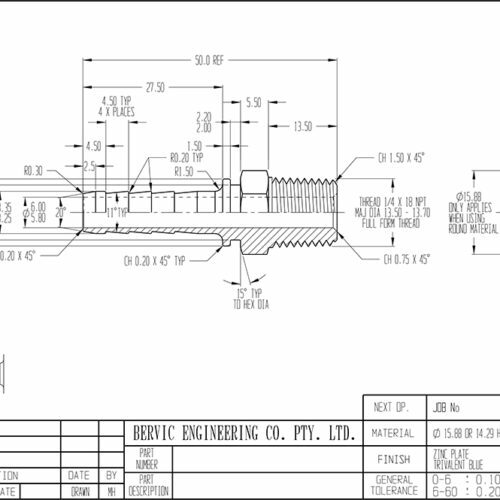 Bervic Engineering Company Pty Ltd stands by its manufacturing experience and reputation. Our commitment to the ISO 9001 standard ensures that your order and purchase is made with peace of mind. The quality assurance department is responsible for the provision of all gauges, measuring equipment, statistical control and quality control systems within the organisation and will ensure that your quality requirements are maintained. Our aim is to provide a complete machining service for our customers and we are certain that our facilities and expertise will benefit your organisation. Our continuing investment in the latest technology has equipped us with a variety of CNC machines for the production of complex components requiring high accuracy and fine finish. The CNC turning centres have 3, 4 and 6 axis capability including two spindle bar turning and sub-turret chucking options. 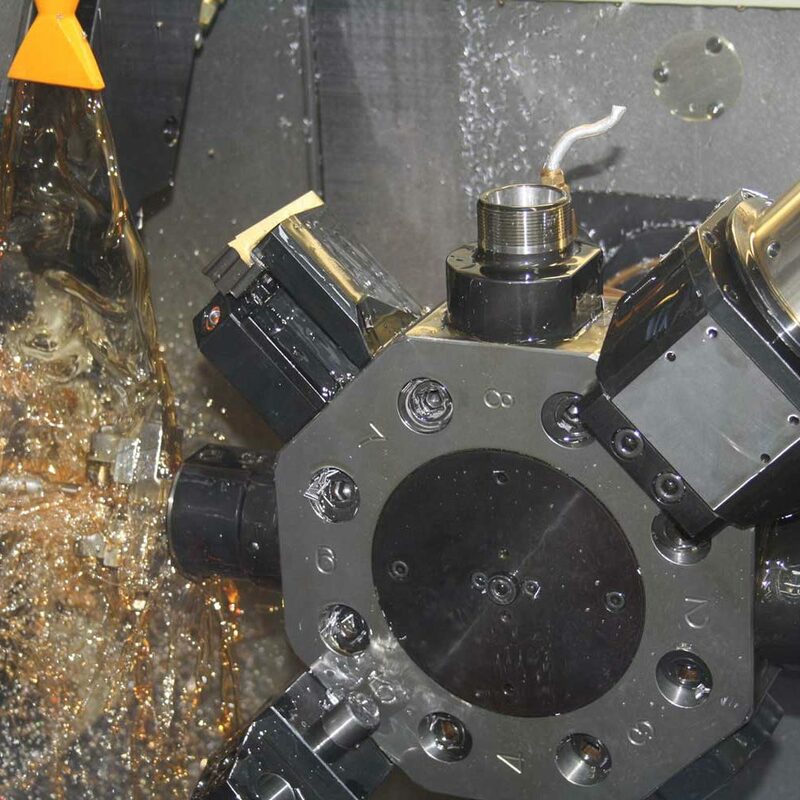 For production milling and drilling our multi-pallet machining centres are equipped with 4 axis capability suitable for individual components or multiple fixture machining. Multi-spindle automatic lathes are the most efficient turning machines available for the mass production of turned components. Our machines are well equipped with a variety of special attachements that will complete a complicated component in a minimum time cycle and at a very economic cost. We have a range of machines that enable us to produce work to 50mm in bar diameter as well as having chucking capacity for machining components and forgings of 150mm diameter. For medium sized batch runs of turned components that require threading, tapping, milling, cross drilling, thread chasing, slotting etc… our single spindle automatic lathe department offers you great versatility. This department, with more than 30 machines, has bar capacity from 3mm to 60mm diameter. To further improve our quality and service, in this area, we also have CNC multi-slide automatic lathes bringing together the best of machining technologies. The recent addition of new 12-station rotary transfer machines, has increased our capability to machine a larger variety of cast, forged and cold-headed components. 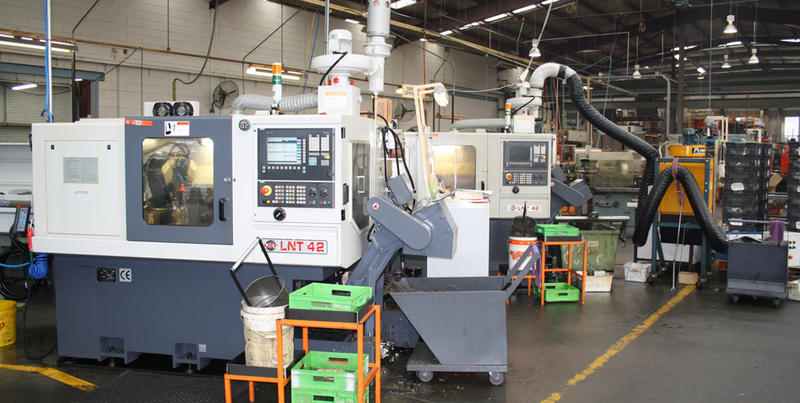 Complex products requiring operations such as drilling, tapping, turning, grooving, recessing and milling, can be produced on these machines at a competitive price. Our strong engineering background has given us the capacity to provide not only single components but completed sub-assemblies. This aspect of our manufacturing is performed in our secondary operations department. 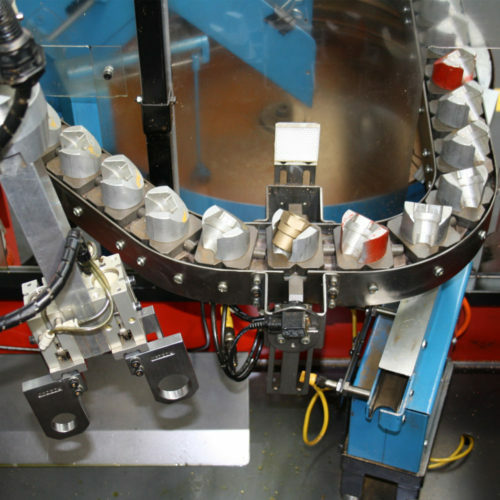 We are currently providing automated soldering of components, metal stamping up to 40 ton followed by production welding, centreless grinding, broaching, rivetting and component assembly. To an increasing clientele we are providing product development from concept right through to full production. To ensure quality and efficient service, our fully equipped toolroom is responsible for the manufacture of all tooling, jigs, fixtures and special purpose machines required to produce your final product. For the isolation of service loads during replacements and repairs use Bervic Live Line and Earthing Clamps. For further information download our product sheet below. 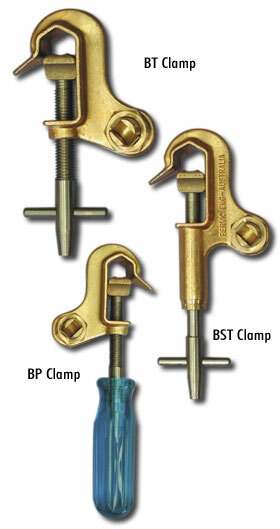 For fast fixing of parallel conductors use Bervic Split Bolt Clamps. Contact us for a free information booklet or simply fill out the form below.